On 24 June 2017, Ernest Okeke was ordained deacon in the Bury St Edmunds cathedral. He now joins us at Elmswell for his curacy. Ernest Okeke was born in the south eastern part of Nigeria in 1968. He is married with four children. His wife and children are living in Nigeria and hope to join him soon. Ernest has lived in Rome since 1991. Educated at the Federal Polytechnic Oko, the Paul University Awka Nigeria, and the Pontifical University of Thomas Aquinas, Rome, where he studied ecumenism and inter-religious dialogue. He completed his ministerial training in June 2016 at the Eastern Region Ministry Course (ERMC). 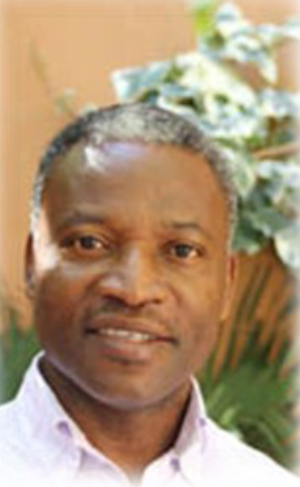 Ernest worked in business before becoming a lay pastoral assistant at All Saints' Anglican Church in Rome, where he was a member of both staff and clergy team. He had responsibility for providing pastoral assistance to the Nigerian communities in Italy in Macerata, Padova and Torino. Ernest enjoys playing tennis, reading novels and window shopping. Living in Rome has provided to him an ample opportunity for ecumenical experiences by sharing with other Christian brothers and sisters and with people of other faiths. Until recently, he was an ordinand of the Diocese In Europe before joining the Diocese of St Edmundsbury and Ipswich. He cherishes making the love of Christ, and his saving grace, known to any person that he is privileged to be in contact with.